Vibra-Trim VT400, my second favorite oscillating model on the market. Although my site is mostly linear as my first approach was just to only talk about how the linear was the best. I tried almost all of the pivotal models, nearly all of them at the home shows, which seems there is a new brand every time I go to one of these shows all selling the same model under a different private label. The only one that I liked was the Proellixe pivotal brand but that one was 11 thousand dollars. So many people were complaining that their machines were breaking down after 6 months and calling me a snake. I told them I didn't sell the pivotal models, only the linear ones. I ended up testing 4 of the pivotal type models that were between 2,000 and 5,000 dollars which were the ones I never hear about since I didn't sell them. I learned later that all these had one thing in common. They all had DC motors. Brushless motors make very little noise and take way less electricity. The Vibratrim VT400 is the one that I really liked the most besided the Proellixe, which was my favorite. I am not saying the Vibratrim is my 2nd favorite but for residential use or for use not for ultra heavy commercial use, the VT400 was the smoothest and the quietest one that I would recommend for the residential market. It has two motors which gives it a different feel than most pivotal models even though it is a pivotal model. I didn't feel jarred and my knees didn't hurt after l used it. I can see how this is different than most of the models out there. This one did not bottom out and rattle when standing on the edges, even with my friend that is 210 pounds. At the 350 pound weight limit, a 210 pound person can do dynamic exercise without worrying about stressing the motor. The reason I also chose this one as my favorite is because I had the most positive feedback from chiropractors and patients who have used the VT400 in their offices who called me up to tell me how it helped them. Standing on the edge of this for the first time has more than enough G force to move lymph. Moving around four teaspoons of lymph per minute on this will make some sick to their stomach if they start out at 10 minutes. I would not go more than 2 minutes at a time if I was very toxic and had inflammation all over my body. But, everyone tells me that it has helped them lose weight and detox so i will go with that. There are situations where I won't recommend a linear type vibration and other times I won't recommend a pivotal type. This can depend if someone has a bad back or weak knees or they simply just want to work out and lose weight. Other people want to build bone mass and a one type of vibration is better for this depending on how degenerated the bones are. I like how I can watch TV while using this. I had a different pivotal model and either I had to turn the TV up louder or the people below me complained. This doesn't shake the roof either. AC motors are different than DC motors. Most of the chiropractors have told me they won't use a linear model for those with bad backs or those who have low bone density. They did tell me that if someone's back is very healthy and they can handle the linear movement, then they don't have a problem with it. Basically, most people that have bad backs like the pivotal models and the body builders like the linear. I like how on the teeter totters you can find the exact point where you can stand so you get the right amplitude that feels good to you. Standing to the edge can feel too jarring while too close not enough. People usually work their way to the edge. All the pivotal machines do not feel the same just because they are going up and down. At the trade shows, they will usually have 3 models and they use the cheapest model just to show the difference between the best and second best feel. I like a thicker plate gives less friction that has a more solid feel and I do not like EMF exposure. Many people aren't sensitive to EMF as they are so low energy to begin with but I am very sensitive to it. I will go to Radio Shack and test my voltage before with a 15 dollar amp meter and after being exposed to EMF and the meters don't lie. Also at the home shows, I always ask what is the weight limit. They will say 300 pounds, almost every time. What about when I stand near the edges. How come that is rattling if it was really rated for 300 pounds. Maybe tell the next customer that. Sometimes I will ask if that 300 pound rating is for static usage or heavy dynamic usage where I am doing different exercises on it. Rarely do they know what that means until I explain it. The Vibratrim VT400 seemed to have everything I would look for in a pivotal model. It does have the 2 DC motors and has a thicker plate than most of the cheaper models. It just felt good to me. The oscillating motor is 2 HP (most of the cheap models on the market are nowhere near 2 hp) and the spiral motor is 1HP. Many of the machines on the market just have a single motor and they charge the same price. Having the 2nd motor that vibrates in the other direction 2mm at the same time the main motor oscillates the plate gives the plate a very unique feel. If I want to vibrate at 25 hz, I don't have to set it to 35 hz to give it extra power to modify for someone that is heavier. If I set it at 25 hz, I want it to vibrate at 25 hz no matter if i get on it or someone else that is lighter or heavier than me. I would recommend this machine to anyone that needs a quiet machine that goes down to the lower hertz (6 hz) that leaves enough time for the one way valves in the lymphatic system to open and shut, instead of the cheap machine on the market that are simply massagers. On the VT400, when standing near the edges at the higher amplitudes, it doesn't strain, even with 250 pound people. I am glad they put a 2HP direct current motor for their main motor. The manufacturer gives a money back guarantee unlike companies that charge a huge restocking fee. Their VT400 is the one I love from this company. I would only consider this one from their product line. It is nothing like their older generation models. To read more about pivotal models go to our main pivotal page here. DELIVERS 2.8 G FORCES AT 5 HZ, ON TIPPY EDGE. I have tried nearly all the major brands of spiral models. If you need help choosing a spiral model take the whole body vibration quiz here. If you need prices on the new VT400 call me at 1-866-945-9072. 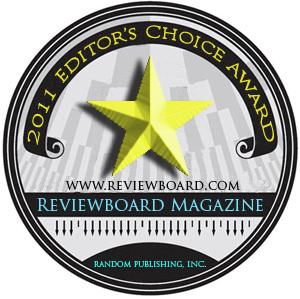 WINNER OF REVIEW BOARD MAGAZINE'S WHOLE BODY VIBRATION REVIEW. We rated this model the best months before they rated it number one. Kinda funny that we picked the same one out of all the machines they reviewed. 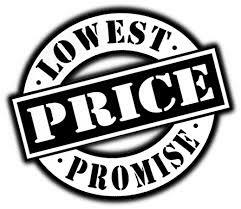 Call us for our low prices. The VT400 won the "Editor's Choice Award" for Whole Body Vibration machines and giving it their "Best Buy Award" This is the only review that has actually been done by and independent third party. Spiral movement: Putting a right spin on the blood. so they can see how healthy or unhealthy they are. The range is from - 400 millivolts (mv) all the way to 400 millivolts. If people are in the negative range, the further to -400 the healthier they are. Most people calling my site are in the positive range and the more positive the more health issues people complain about and the more serious the conditions the closer to +400 (positive numbers). -5 mv energy level : this is when a person starts to get major health concerns and the voltage level slowly goes into the positive range from here. This is where most people start to call me and those that don't do anything to bring up the voltage who call me in the positive range are the ones that almost 99.9999% of the time have sluggish lymphatic systems, low bone density, and pain all over their body. Moving all the waste out of the body with lymphatic flushing and a good probiotic can quickly bring the voltage back into the negative range as the trapped blood proteins and stagnant waste in the lymph gets removed from the blockages. The higher the positive range, or the more the voltage of the body disappears, the more problems people usually have. The people that call me who are at positive 30 millivolts, these are the people that have serious conditions. Their cells and whole body cannot function and they are always getting sick. In a very acidic body with low voltage, almost anyone would be in pain. When the body is moving lymph and the toxins are coming out of the body, the cells normally pick up voltage. If the body cannot produce enough energy, at least -50 mv, it will be hard for the body to heal. A good probiotic can help with that to restore the body back to -20 millivolts, that should be everyone's goal. I would test my voltage every day and do whatever it took to get my body voltage back to -20 if mine was in the positive range or I was in the range making me tired all the time. Most of the major health concerns fit in a certain voltage range. The body must go to -50 mv BEFORE going back to -20 mv, which is the healthy state. It is very hard to reach -50 for most people that are in the "tired" range unless they know what what to do to get out of that range. You cannot do it by just eating well nor doing things to increase your voltage without minerals, etc. The spiral movement gives the body a right spin when standing on the plate. I would recommend anyone use the spiral (circular vibration) along with whole body vibration to help put the body in a higher voltage range. Test your voltage before and after using the spiral to see first hand how it can help. Video: Many people are confused on what spiral vibration frequencies are. It is not linear. It is not pivotal either. It is spiral, circular. If you Google what happens when you put a right spin on the body (the directional spin of the cells as opposed to a left spin), the new spiral machines work with 2 motors giving a right spin to the body at the same time the plate teeter totters. These spiral machines put a serious right spin on the cell. Almost 99% of the sick people that call into my site have a left spin to their body which I can take a tool and the people that have left spins feel a huge tingling sensation when I put back the right spin on the blood. The right spinning vibration is the most soothing feeling to my back. I feel much better when using the spiral motor at the same time as the pivotal motor runs. See the New VT-400 above. The new model has higher amperage than the first generation VT400. Review of the VT-400. We only sell the newest model now. The latest models ship directly from the manufacture. If you want the older model we do have a few demos left at reduced prices. On Sale - Call for our unadvertised price. 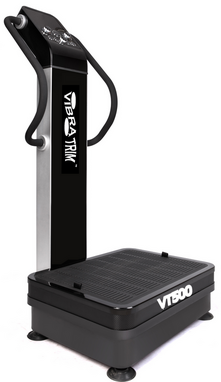 We now carry the new mode Vibra-Trim VT500 Pro. Watch the demonstration below. We offer demo vibration machines used for video shoots and our reviews. We also have machines that people return within our 30 day return policy. Most common reason is when the husband buys without the wife's permission and we get it returned. Call 1-866-945-9072 and ask for Sharon for demo prices and availability.